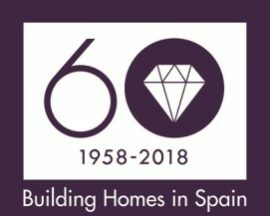 Taylor Wimpey Spain has created a new housing concept, based on maximising space, creating a spacious living room opening out onto the terrace and integrating the kitchen into the living room, achieving maximum luminosity and the sensation of spaciousness. DALT DE SA RAPITA is found in the picturesque fishing village of Sa Rápita, on the southern coast of the island of Majorca with the long beaches of fine white sand of Es Trenc, Ses Covetes and Sa Rápita just alongside. This coastal area has been declared of special interest due to its natural beauty and covers an area of 1.500 hectares which include the beaches of Es Trenc, Es Morters or Ses Covetes, beaches with exceptionally beautiful crystalline waters from where you can see the island of Cabrera, declared a Land and Sea National Park in 1991, one of the most spectacular and surprising enclaves of the Mediterranean Sea. Sa Rápita is located just 38 km from Palma airport with daily connections to the major European capitals. Once you have arrived in Majorca, just 30 minutes later you could be enjoying your own home in typically Mediterranean surroundings.